Mobile devices have rapidly evolved in the last few years. They are no more just for sending text messages and making calls, mobile phones can now browse the Internet, play music, take pictures and watch movies. Especially when you are on the go, the possibility of watching your favorite movies on your mobile device is something that we are all thankful for. Android, the most popular type of smart-phone has the play-store where you can download different kinds of apps, including certain apps that will enable you to download YouTube movies on Android. 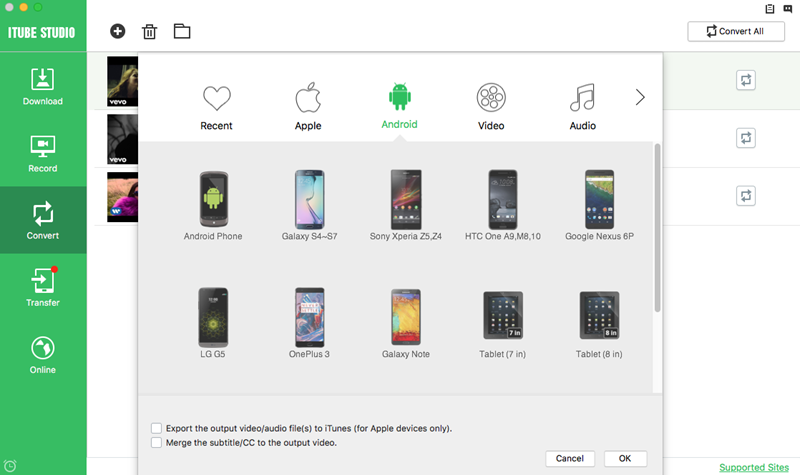 MP4 format is the most suitable format which fits your Mac, Windows, Android, iPhone or a tablet, so, if you are an Android user, you must want to know how to free download movies for mobile phone in MP4. And maybe you have used some ways to download MP4 movies to your mobile phones like Android, but as long as you have met some problems, you can find the solution here. We will share a collection of free MP4 movie download sites well supporting MP4 download and recommend you some easy and convenient guides to download free MP4 movies for Android phones and tablets. There are tons of websites that let users download MP4 movies to their PC but have you ever considered using a simpler tool that ensures immediate download? Why not give iTube Studio Best Video Downloader a try to enhance your visual experience? This powerful video downloader for Mac, Windows, Android and iPhone compliments a number of different sites like YouTube, VEVO, MySpace and 10,000+ sites. This free MP4 movie downloader lets users download free MP4 movies for android, tablet and iPhone systems. Now you can download MP4 movies on portable devices instead of impatiently waiting for the videos to buffer online. There are many features that make this video downloading program outstanding when it comes to downloading and managing online videos. Some of these features include as below. Enjoy MP4 movie downloads from more than 10,000 video sharing sites inclusive of videos from YouTube 4K UHD and YouTube videos to MP3. Enhance video experience by giving quick downloads from websites that offer MP4/MP3 files at 3X faster download speed. Record online videos from any "unable to download sites" to ensure you can save your videos. Convert the downloaded MP4 movies to other media format, or presets for popular Android or iPhone devices. Transfer downloaded MP4 movies to your mobile devices like Android phones, iPhone, tablets or game consoles with USB cable. Equipped with a PRIVATE MODE to fully keep your video downloading information under protection with a password. Directly download music or video files from a sharing link of Google Drive, Dropbox, One Drive, etc. without login. Launch iTube Studio Video Downloader and open your favorite website within the Android movie downloader to access popular videos. Option 1. Download the selected MP4 movie by clicking the "Download" button on the top right corner of the browser and once a drop down menu appears, select the appropriate resolution. Generally the Download button will be automatically added to your browser, but if you haven't found it in the video page, just follow this to know how to add download extension to browser in steps. Option 2. You can also download MP4 videos by copying URL and click the "Paste URL" button to paste it within the program to initiate immediate downloading. Just copy the video URL from browser and then paste in the program. iTube Studio allows to insert up to 1000 url links, which means, you could just leave the URLs in the blank then let this ultimate video downloader to do the rest for you. Your next step is to convert downloaded movies to MP4 format using the program so that you can transfer such files to your Android phones, Apple devices and game consoles. In the "Download" menu open the "Downloaded" tab and click "Add to Convert List" to add the videos to the "Convert" menu. And open the "Convert" menu and click on the "Convert" button which lets you select the ideal format. From the pop-up dialog box you can select the video format (MP4) from the format list and choose the device name as the output format. You can also choose a preset format for your mobile devices as iTube Studio has preset a well compatible format for most popular mobile phones and tablets. Connect your iPhone or Android device with USB cable. Open the “Transfer” tab and you will see the notice that the device has been connected. And you can view the videos waiting for transferring. 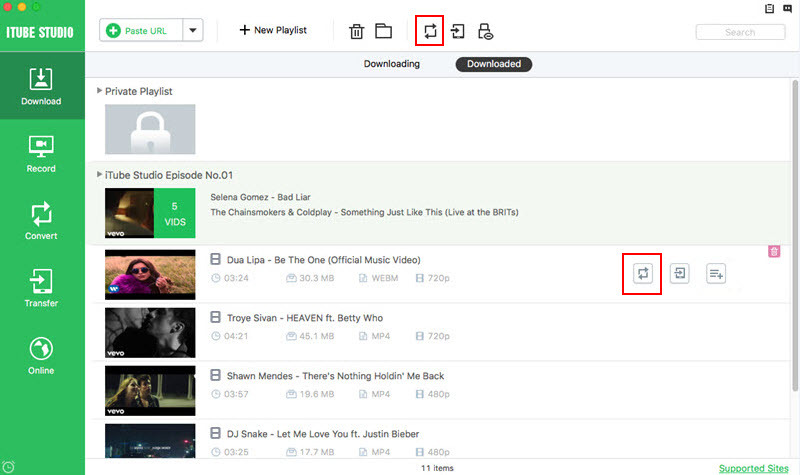 Your downloaded or recorded videos will be listed in your "Download" and "Record" tab. When you click on the video list, you will see the transfer icon. Click on the icon and add the video to the transfer list. Then click the “Transfer” button beside the video list to start transferring. When finished, you can view the video files on your devices. Now click the “Transfer” tab to start transferring videos to your Android or iPhone. 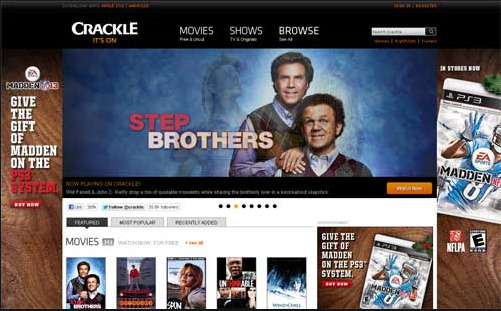 One of the best entertainment sites is Crackle that gives viewers a fabulous collection of Hollywood movies, popular television series and much more! You can download free MP4 movies for Android and capture original shoots, uncut and uncensored versions of movie clips that are available in three different categories - Most Popular, Frequently Played and Recently Added. One of the most commonly used free MP4 movie downloads sites for Android where you can watch, download and upload videos for free is YouTube. Freemp4movie.org is a great site that gives users free MP4 movie downloads for Android of great quality and precision. You can easily download movies onto your Windows or Mac desktops in any format that suits your liking. The name itself signifies the domain's purpose - download free MP4 movies for Android from the biggest collection of Hollywood and Bollywood movie shares. Get the latest hits from distinct categories right from action oriented drama to cute animated series. Capture HD MP4 movies in the best way using this site which is any user's ideal choice. 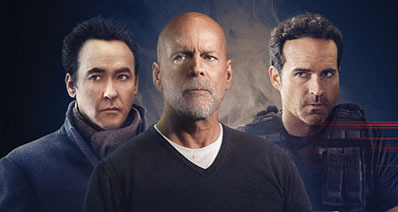 One of the most popular movie networks for mobile downloads is FullMoviez that gives you the option to watch live telecasts on your laptop or PC. Whether you're looking for Hollywood releases or Bollywood picks, the list is long and catchy. Catch the latest Hollywood hits using this amazing that lets you make regular movie downloads in MP4 format without signing up. You can burn the videos to DVD or enjoy Blue-Ray versions for playback at an instant. Getting free movie downloads has never been this easy before! This free MP4 movie downloads site lets you capture the best movie hits on your Android, tablet or iPhones with different languages. All in MP4 format, you can get the best visual experience on Urgrove which offers multi-download links for a greater layout. Thinking of downloading free movies on your mobile? Enjoy online movie streaming or download free movies in any format you want having BlueRay, DVD Rip etc quality. Listed category-wise, catch the latest cinematic hits if you're eager to enjoy online streaming and free downloads. 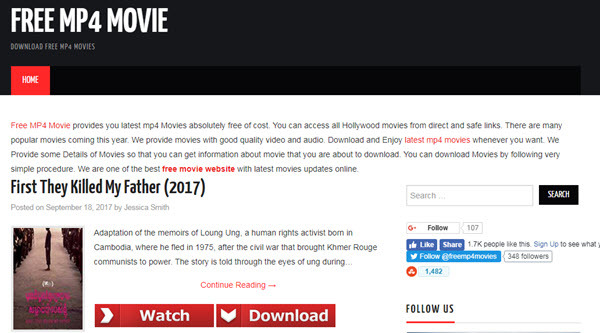 If you think downloading free MP4 movies has come to an end, here is a site that lets you watch movies with a single click! You can select movies from your favorite category after you're done browsing through a massive collection of TV series, movies and much more. The only source that offers TV shows, cartoons and movies for Android and tablets is FZ movies that lets you catch the best shows in suitable formats. 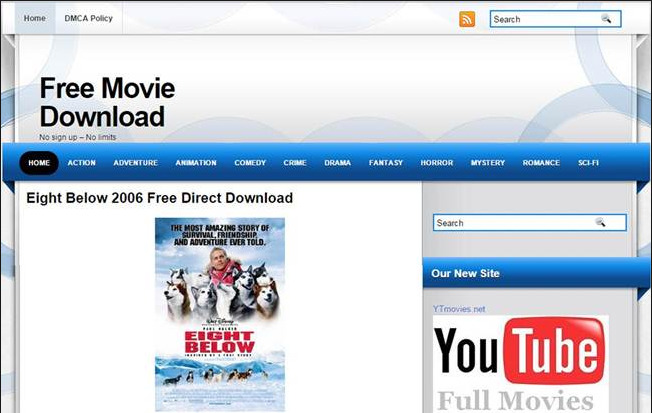 Right from MP4 movie scenes to 3GP quality mobile downloads this site lets you download for free. Whether you're looking for a spicy Bollywood tale or an action packed Hollywood release, Watch-Free gives you free MP4 movie downloads for Android, tablets and iPhone device. Just select the format you're looking for and you can watch your favorite movies on your mobiles right away.